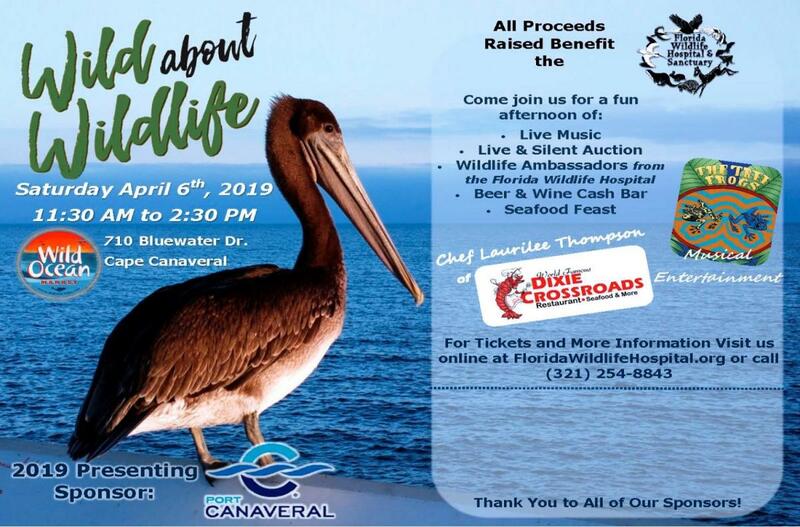 Support the Florida Wildlife Hospital & Sanctuary at this fun and casual event where our animal ambassadors will greet you upon arrival. Enter for your chance to win exciting raffle and auction items. https://fwh.wildapricot.org/event-3206370/Registration and then "register now" or call 321-254-8843. FWH is a 501(c)(3) nonprofit organization dedicated to aiding sick, injured and orphaned native Florida wildlife by rehabilitating and returning them to the ecosystem.